We complement each other so well. She's very sensitive and emotional, and I like that. That's what I need. We get along together because we have so much in common, but we have differences, too. 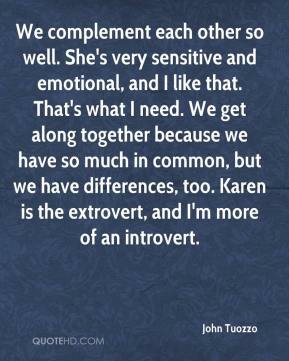 Karen is the extrovert, and I'm more of an introvert. When she does come back, we have that old feeling of coming together again. We hug each other. Kiss each other. 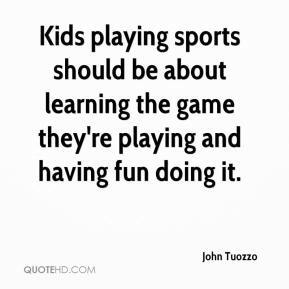 When you have that, you don't lose that. We were a good complement to each other. 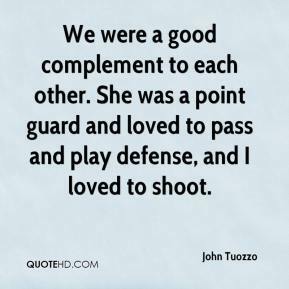 She was a point guard and loved to pass and play defense, and I loved to shoot. We communicate really well. I think that's been our foundation, besides love. 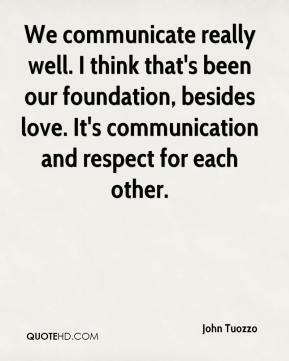 It's communication and respect for each other. 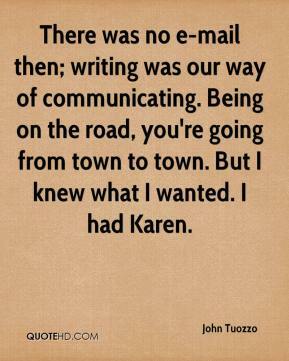 There was no e-mail then; writing was our way of communicating. Being on the road, you're going from town to town. But I knew what I wanted. I had Karen.